We take pride in our company’s reputation for providing the most innovative and highest quality products, backed by superior customer service and prompt product availability. 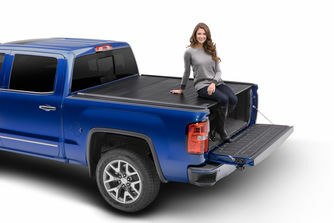 We’ve spent more than 20 years focused on nothing else, and we take great satisfaction in striving for excellence in the retractable pickup bed cover market. 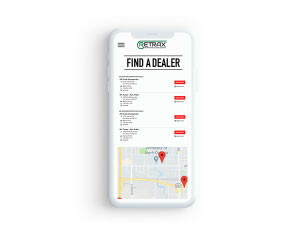 In a sleek gloss or matte finish Retrax covers feature a low-profile patented design that streamlines the overall appearance and provides a tight seal. Ultimate UV protection impact and scratch resistant, Retrax retractable truck bed covers enhance the the look of your truck without losing function. Retrax covers can be manually or electronically locked in any position along the rail and are secured with their own keys, or remote keyfob. Retrax covers are manufactured from reinforced polycarbonate, or heavy-duty aluminum slats which are connected by durable and flexible hinges to create a strong seal against dust, wear, and weather elements. 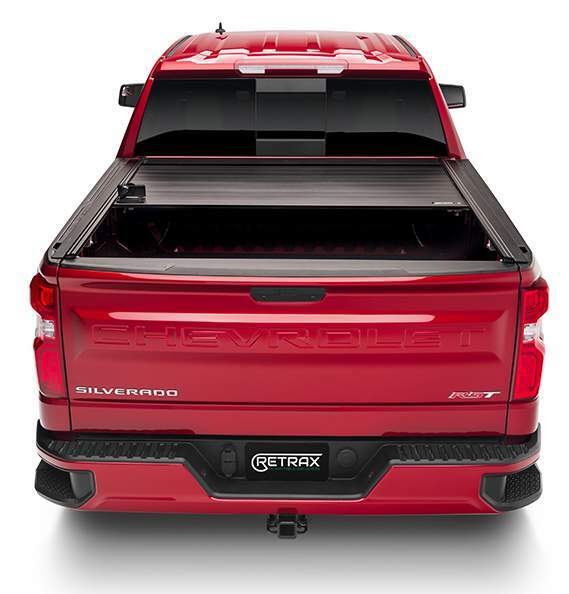 The XR Series combines the ONE MX with the integrated Trax Rail System that allows for unique and personal customization above your truck bed cover. The RetraxONE XR combines an incredible scratch resistant matte finish with a low-profile patented design that streamlines the overall appearance of your truck bed cover. Track/Load/Cross Bars & Accessories sold separately. Need Help? 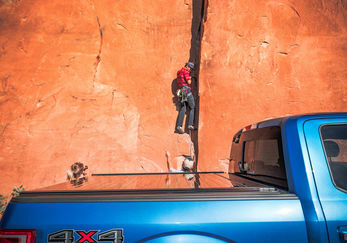 Want your truck bed faster? 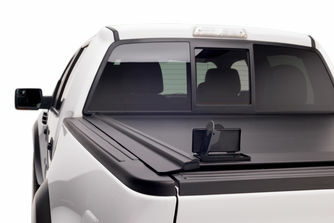 Get expert installation and superior in-stock service at one of our authorized dealers near you. Founded in 1996, Retrax strives for excellence in design, development, and manufacturing in the retractable truck bed cover market. The company expanded over the past two decades to efficiently create high-quality power/electric & manual hard retractable truck bed covers. Retrax’s focus on engineering and innovation has created popular retractable truck bed covers such as the RetraxPro MX and RetraxONE MX. The XR Series combines the ONE MX with the integrated Trax Rail System that allows for unique and personal customization above your truck bed cover. 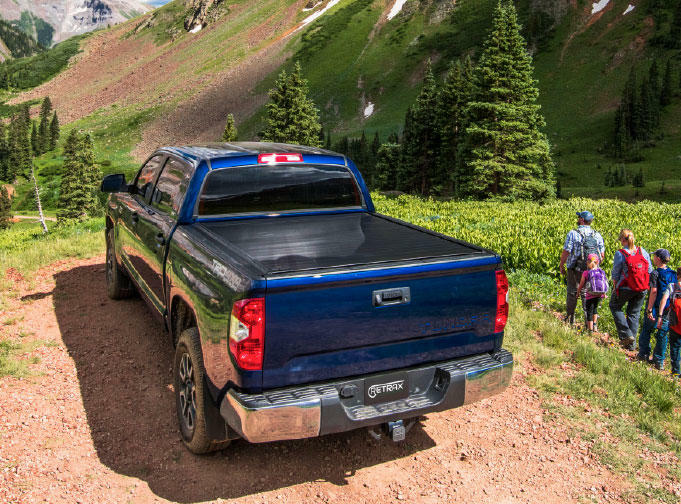 The RetraxONE XR combines an incredible scratch resistant matte finish with a low-profile patented design that streamlines the overall appearance of your truck bed cover. 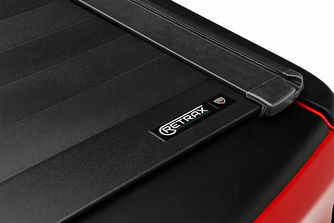 Not sure which Retrax retractable cover is right for you? Use our compare tool to view features & benefits to help you make the best decision. 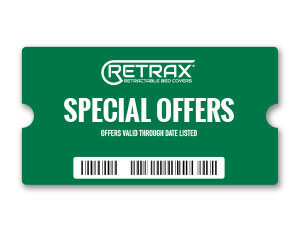 Want to save on the purchase of your Retrax cover? 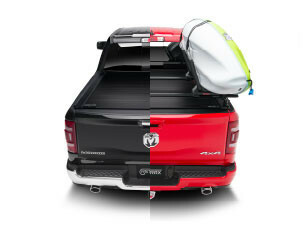 Check out our current special offers, or sign up for our newsletters to get our latest deals.